With Amazon Music, a voice is all you need. Customers can unlock over 50 million songs and thousands of curated playlists and stations using just their voice. 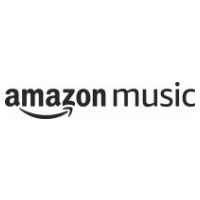 With Amazon Music, Prime members have access to 2 million songs at no additional cost to their membership. Listeners can also enjoy the premium subscription service, Amazon Music Unlimited, with 50 million songs and the latest new releases. Listen anywhere, anytime across a range of devices. Engaging with music has never been more natural, simple, and fun. For more information, search Amazon Music.